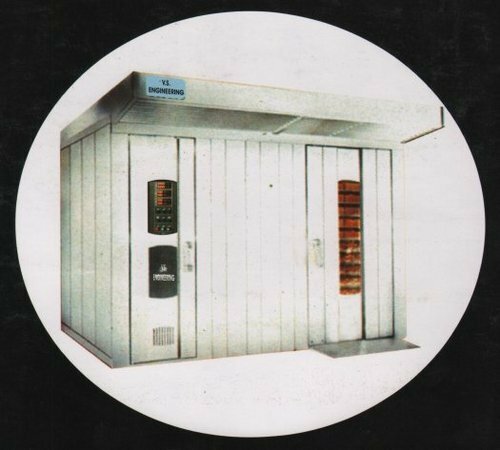 Established in the year 2008, we “CLASSIC ENGINEERING”, are a distinguished entity of the market engaged in manufacturing, supplying, importing, distributing and trading a huge gamut of Bakery Equipment to the reputed clients. Offered products comprises Single Trolley Rotary Rack Oven, Double Trolley Rotary Rack Oven, Four Trolley Rotary Rack oven and others. We import from Taiwan & Germany. We are offering after sales services to our clients. These offered products are designed and developed by utilizing optimum grade raw material that is obtained from the most accredited vendors of the industry in compliance with the illustrated industry laid parameters. In addition to this patrons can also avail from us designing & fabrication, finishing, installation and after sale services that are timely executed by our skilled workforce in accordance with the detailed specifications laid by patrons. We have an established infrastructure facility along with a team of assiduous professionals, who support us to achieve all the business related tasks and goals with ease and perfection in a timely manner. To ensure flawlessness in our product range, we have established a modern infrastructure facility at our end that is installed with latest machines and advent technology that enables us to fabricate a superior quality range of products by utilizing optimum-grade raw material sourced from the famed vendors of the industry. Thus, with the immense support of our dedicated team, we have been able to cater to the patrons needs and demands in an effective manner, besides, we also render our clients installation and after sales services as per their needs and desires. Furthermore, our excellent approach towards the market has enabled us to rope in our sister concern organization with the name Classic Engineering, which is regarded as an ambitious future project that enables us to bring forth a specialized range of bakery equipment to the customers. Owing to such efforts that we put in, we are associated with patrons such as Juice Junction, Bengaluru, Karnataka; Nanda Foods, Hyderabad, Andhra Pradesh; Bharat Products, Bellary, Karnataka. Under the able guidance of our mentor, “Mr. Vijay Kumar”, we have been able to scale new heights of growth for our organization. His in-depth knowledge, excellent managerial skills, leadership qualities and acute business acumen have helped us garner to the vast client base in all the regions. By ascertaining a unified approach, our organization is able to meet the specific demands and requirements of patrons in the most promising manner. We strive to offer a quality array of products to patrons in diverse customization options along with their availability in multifarious sizes, dimensions and grades at market leading prices. We are a leading name of this industry engaged in offering Bakery Equipment to the patrons. To bring forth such an outstanding range at the patrons end, we have recruited with us a team of highly skilled and hardworking professionals, who work diligently to come up with an outstanding array of products. These products are fabricated by making use of superior grade raw material that is sourced from the most accredited vendors of the industry. In addition to this, they indulge themselves into extensive marketing planning and research that helps us maintain the topmost priority scale in this domain.